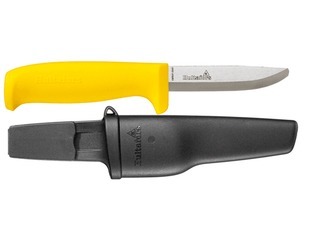 The MoraKniv Rookie is the perfect outdoor knife for youngsters. 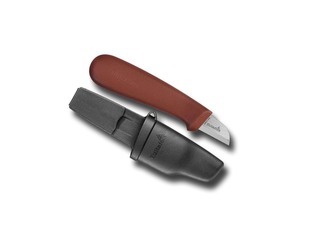 It has been specially designed for small hands and features all of the safety features that a novice whittler needs to stay safe. 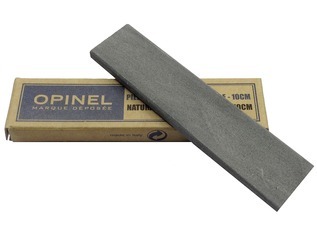 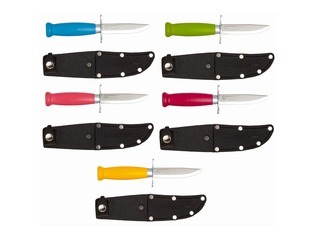 These small knives are perfect for use on Forest Schools as well as at home. 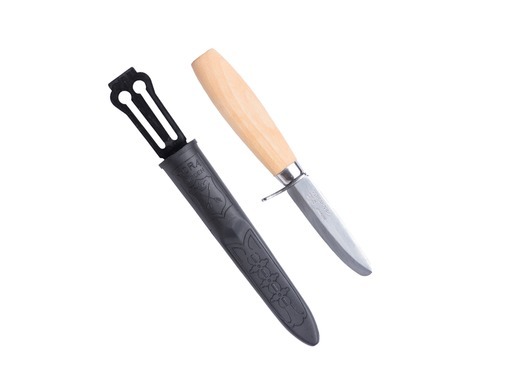 The Rookie Knife features a strong stainless steel blade with a rounded tip - much like a butter knife, but the length of the blade is very sharp. 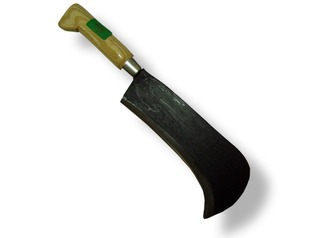 There is a good sized finger guard in place and the handle is undersized to suit small hands. 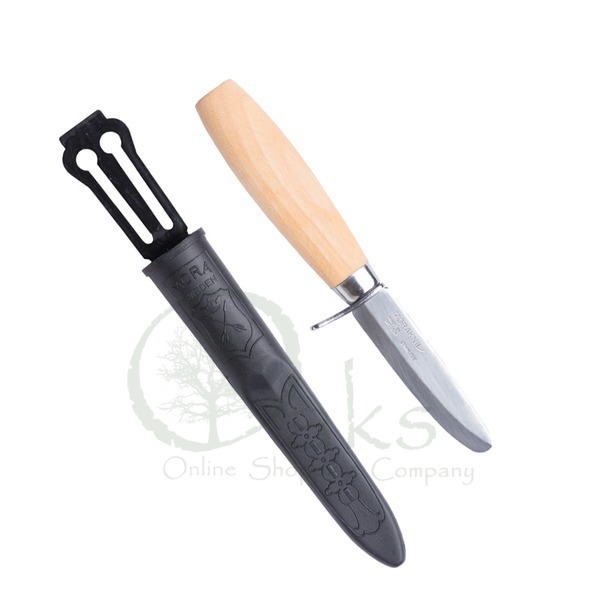 We also offer a Mora Rookie knife with a tip and carbon steel - see the drop down for a picture and to select this model for purchase. 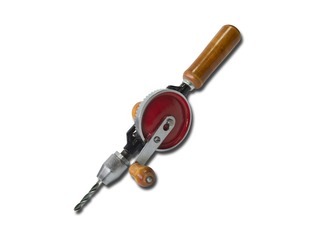 Sufficient safety training and adult supervision is required at all times.